Bobby McLean (left) of Cumberland High and Papine High's goalscorer Rushike Nelson fight for possession during their Group A return leg fixture at Papine High on Saturday, October 13, 2018. Cumberland won 2-1. (PHOTOS: Marlon Reid). 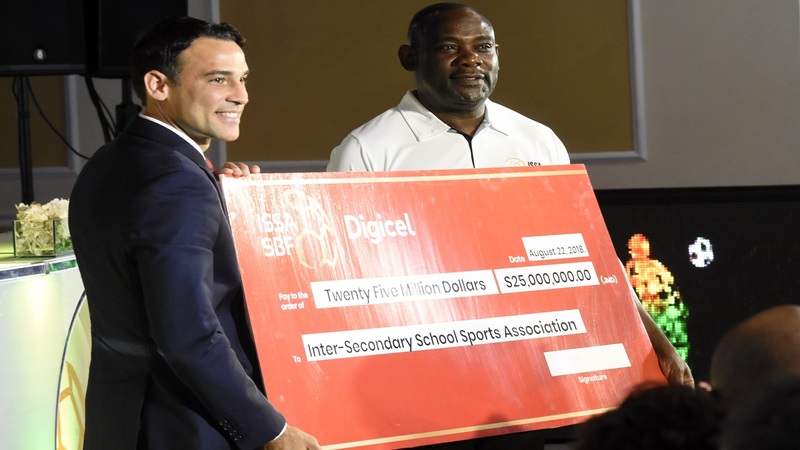 The second round of the 2018 ISSA/Digicel Manning Cup football competition is scheduled to start on Tuesday with all 16 teams in action. Calabar High and Cumberland High completed the list of qualifiers on Saturday by finishing the preliminary round as the best third place and next best third place teams respectively. 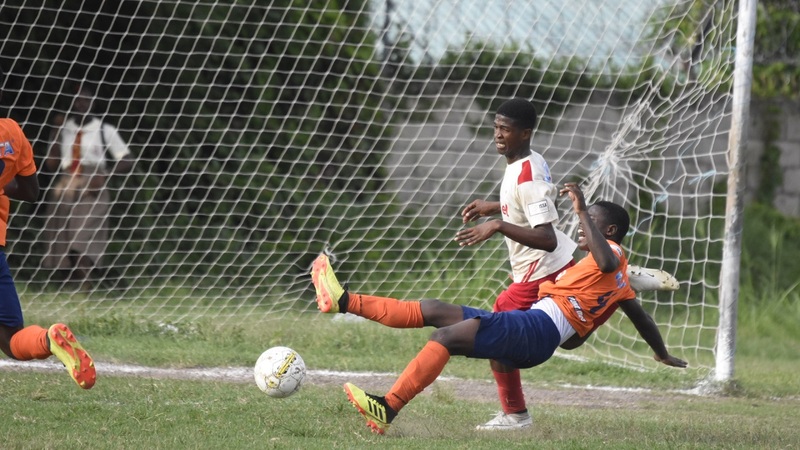 Cumberland High won 2-1 at Papine High in their Group A second leg fixture on Saturday to confirm their second round spot. 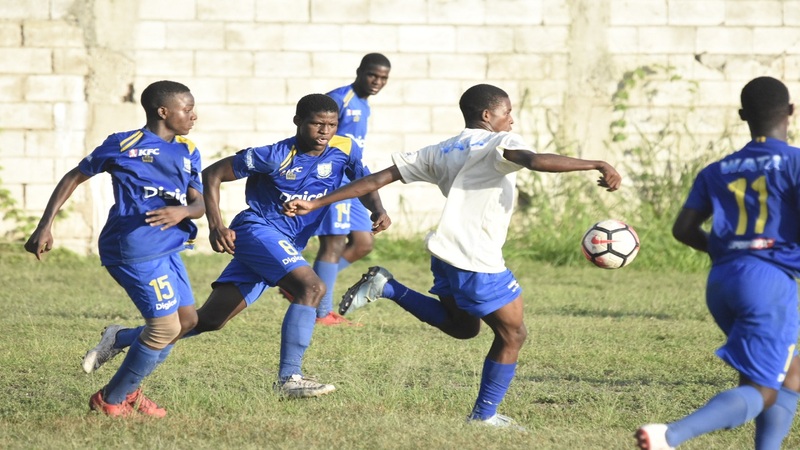 The Portmore-based school, which had beaten Papine High 4-0 in the first leg, finished the home-and-away preliminary round on 17 points, behind group winners and 22-time champions St George's College (26 points) and last season's beaten finalists St Andrew Technical High School (22 points). Cumberland High had to come from behind for their most important victory in the preliminary round after falling 1-0 behind through a 32nd minute strike from Rushike Nelson. Goals from Okello Valentine in the 44th and Nicholas Shorter in the 65th handed them the win. The victory handed Cumberland High their first-ever appearance in the second round and coach Kemar Brown was happy. Brown said, "it is definitely a good feeling as it is history with the school actually through for the first time. The guys deserved it and it is something good that we can dwell on and move forward. "We started the season without some of our main players and that was one of the reasons that St George's scored six, but as the season progressed we actually stick together as a team, put in the hard work and this is the reward for us." In the second round, teams will play home and away matches to get into the quarter-final. Cumberland High have been drawn to face 14-time champions Kingston College (KC) in the second round, while Calabar High, the best third place team, will face five-time defending champions Jamaica College (JC). 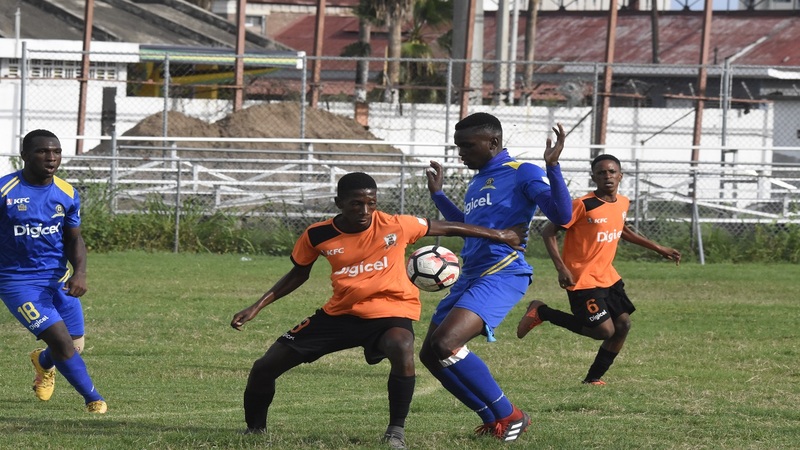 Calabar High, which won the Manning Cup in 1943, 1977 and 2005, finished the preliminary round on a high with a 12-0 home thrashing of Ardenne in their Group B second leg fixture on Saturday. They ended the preliminary round on 19 points from their 10 matches to finish behind group winners KC (30 points) and Mona High (22 points). Calabar had won 4-0 at Ardenne High in the first leg on September 24.